The Hydrokompenser is one of many proven balancing solutions added to the Schmitt range following its acquisition of the grinding wheel balancing division of Hofmann Maschinenbau GmbH. It is suitable for balancing grinding wheels at speeds up to 20,000 rev/min and corrects out of balance forces by directing machine coolant or water into one or more of the four chambers built into the balance module. 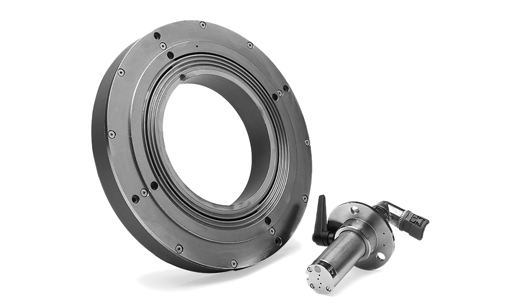 This unit is mounted on the wheel carrier or flange and can provide correction of up to 50,000 g.cm. The Hydrokompenser’s response, accuracy and durability can be further enhanced through use of the latest generation SB-5500H electronic control unit.